Caboolture Physical Therapy Centre > Blog > Latest News > World Physiotherapy Day Competetion – Win an Ipad! 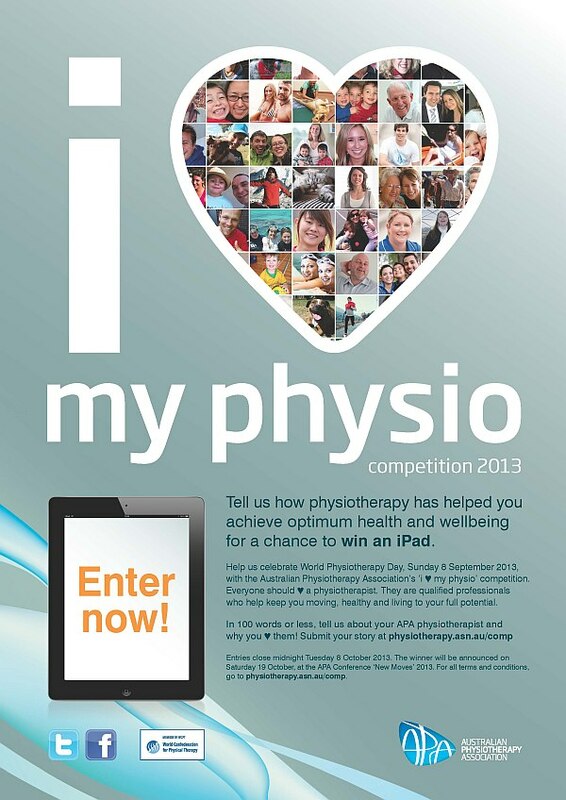 World Physiotherapy Day Competetion – Win an Ipad! 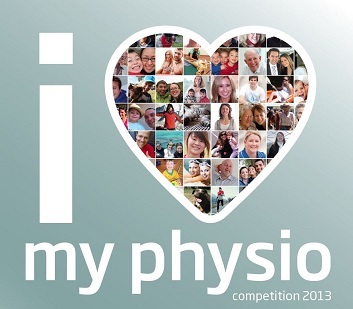 To celebrate World Physiotherapy Day on Sunday 8 September 2013, the APA will again run the ‘I ♥ my Physio’ competition. Everyone should ♥ a physiotherapist; they are qualified professionals who keep you moving, healthy and living to your full potential. You and your patients can both win an iPad simply by telling us how physiotherapy has changed their lives and allowed them to live at their full potential. Patients simply submit their inspiring, humorous or heart-warming story in 100 words or less onto the website. The site will be live from 2 September 2013. 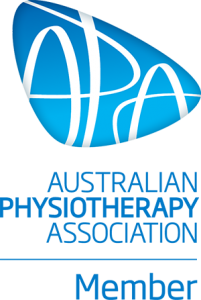 The competition will be launched to the public on 9am AEST Sunday 8 September – World Physiotherapy Day – and will be open for four weeks until Midnight AEST on Tuesday October 8 2013. The more patients you encourage to enter, the more chance you have of winning this fantastic prize. The winning physiotherapist will also be honoured in a presentation at the APA Conference 2013. See the Terms and Conditions. Should you encounter any technical difficulties, please contact APA National Office on (+ 61 3) 9092 0888.